How do your girls feel about living in Paraguay? Was it challenging for them to move there? How old were they when you moved? Do you mind sharing how old your girls are? and what are they thinking about after high school? They are now 14 and 16, and were 9 and 11 when we moved here. They’ve had tough spots at times from lack of friends, missing family, the macho culture here, and feeling a bit disconnected. But since we’ve moved to a larger town last year, it’s been worlds better for them. I actually blogged about that yesterday, about how they’re developing and adjusting over time. As far as what they’ll do after high school, well, that’s a big question right now. The 16-yr-old is a planner and would like to have it all mapped out, but she’s undecided if she’d like to move to the US as soon as she “graduates” for college there (probably living with or near grandparents), or if she’d like to study here, or if she should take a gap year and explore what she feels like is her missions calling while learning a trade (cosmetology, cooking?—both of which are very accessible here). She feels God is calling her to Europe but we don’t know anyone there yet. She'd like to “look around” there a bit before deciding what to study, because she feels more drawn to tent-making missions. It’s a source of much stress for her that these questions are all in the air, and the truth is, I don’t know how to advise her. Feel free to pray about this for us. J The other daughter lives one day at a time and hasn’t even begun to think past the current calendar year, nor does she want to. That’s a whole ‘nother post…. 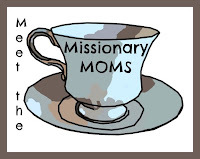 What's your favorite thing about being a missionary mom? What is your least favorite one? I love watching my girls interact with people who don’t seem to have much in common with us, seeing them recognize that really we all have the most important things in common. I think that all things considered, what they're learning and experiencing far outweighs the down side of this mission life, and I'm thrilled that God moved us here while the girls were still young enough to be part of it all. Where do you find out more about free on line classes - and if they are free, do they count as continuing ed credits, etc.? I google to find sites that are specific to the ministry I’m looking into, then look for training resources. For example, on the site for Prison Fellowship Ministries, I found a series of videos and a quiz after each one. In orality evangelism, I found this site and this one with similar training. Also, lots of colleges are now offering free classes (google “free online college courses” and a trillion links appear), some with online textbooks, video lectures, a syllabus--the whole shabang, totally free. A few have a printable certificate at the end, but most of these don’t offer anything “official.” I don’t have any requirements for continuing education, though. I just do this for my own benefit. Tea or coffee? And what is your favorite flavor or kind? Neither. If pressed, I’ll take tea, either hot or good ole' South Carolina sweet iced tea. But I prefer kool-aid (which kind folks mail to me here) or Paraguayan tereré. What are some of the curriculums that you've used, since you say that you've experienced every type? We started with Abeka and Bob Jones because I was nervous and wanted someone to walk me through each step. Then we did KONOS unit studies for a few years. Since then, we’ve done Math-U-See, Saxon math, Apologia sciences, Latina Christiana, Shurley Grammar, Easy Grammar, Daily Grams, various public school texts, Classical Conversations, Mystery of History, Fallacy Detective Logic, Drive-Thru History, Christian Liberty Press history, Spelling Power, PACEs, Wordsmith, Writing Strands… I’m sure I’ve left a few out, but those come to mind right away. Oh, yeah, we did Switched on Schoolhouse for a couple of years here in PY, with high hopes but low success. We’re now using Tapestry of Grace (love it but it’s a lot of work), Apologia chemistry, Teaching Textbooks Algebra II, Jacob’s Geometry, Write Source, and some supplemental internet freebies. What is your favorite thing about Paraguay and what is the food like there? girls are as tall as I am! I don’t think I could narrow it down to one thing if I tried. I adore living here. There is such a feeling of community, of togetherness. And I do love the strong cultural identity here. PY is a small country that lost a lot of territory in wars with much larger countries over the years, wars that had the potential to totally annihilate them. They’re pretty fresh out of dictatorship. The people have a survivor’s spirit after so much hardship. 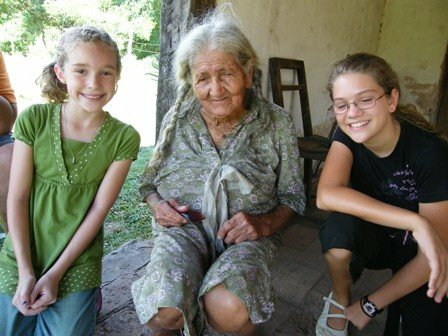 We have two official languages, Spanish and the native Guarani, which blend together into what’s called Jopara, unique to here. 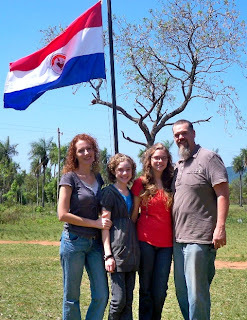 So all around us they speak Spanish (and Portuguese) and little Paraguay has its own thing going. Beef is big industry here, so it’s a carnivore’s world. The fruits and veggies are great, too, from the tropical climate, but typical foods are fried (empanadas, a fried pancake thingy called a tortilla, country-fried steak or chicken that they call milanesa) or carb-heavy (rice-based guiso and noodle-based tallarines). It’s VERY tough to eat healthy unless you can manage to always eat at home, which isn’t exactly culturally appropriate. If you want more details about life in PY, I just read this great article in a NY Times post that sums it up well. The super short version? 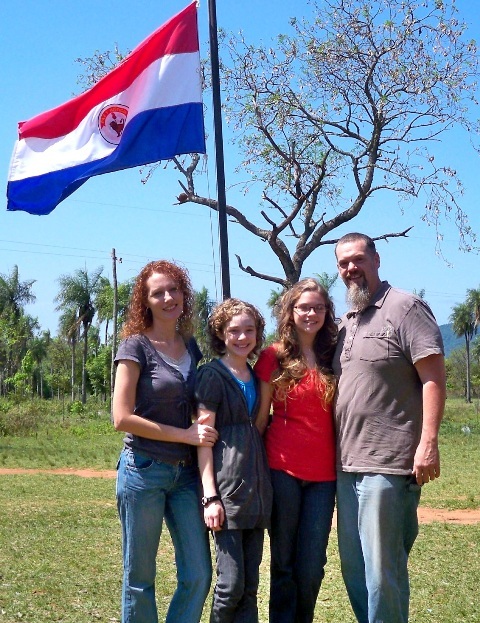 We felt the call to Latin America, thought we’d be going to Peru, ended up in Paraguay, found out the reason we’d come wasn’t going to work out, but felt this was where God wanted us all along and had used the other events to get us here. It's turned out to be a great fit for our prior ministry and life experience and the personality of our family. Thanks for letting me share about my family and this country we have come to adore. I’m looking forward to reading about all of you! If we sat down to have a cup of coffee, I would want to hear your story, and share a little bit of mine. First there was a time in my life where I vowed I would never move south of Texas because of a difficult short-term missions experience. 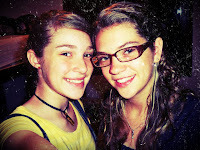 I also was all set to go to another continent before God turned things upside down and called our family to El Salvador! Since moving here, language learning has been harder than I thought, but it hasn't been my biggest frustration...you would hear about that when the subject turned to our children and education. I would also share how I now have a passion for a ministry that was never on my radar during our pre-move planning and preparation. 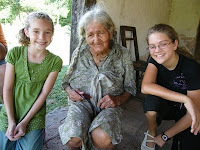 Of course, I would also share all the things that make El Salvador unique and special to our family. If you have any questions about me or about El Salvador, post them in the comments and I will answer them soon! Great to get to know you, Christie! I can relate to the stress you feel about needing to focus on family and also feeling the pull to minister "beyond" the home! I think we cross-cultural moms are all jugglers. 1. Why has your biggest frustration been your kids and their education? I can sort of guess, but just wondering... I'm sure it's something we'll all understand! 2. Do you ever have free time and if so, what do you like to do? what's the silliest thing you've done as a family Danielle? Which continent were you thinking you would be going to before being called to El Salvador? (I'm especially interested because I too thought I'd be going somewhere else but find myself in Central America, one place I had never thought I would go as a missionary!) Has it been hard for you to adjust your thinking to El Salvador instead of the original place? And, I would love to hear about the new ministry passion God has given you.